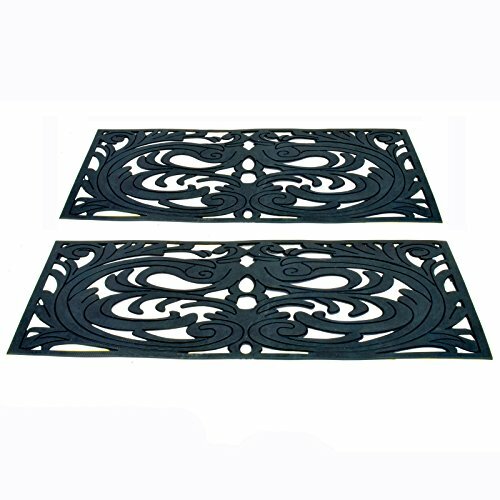 Create safer non-slip steps in seconds with this set of 2 rubber step treads.Wrought iron effect design adds a decorative touch to your stairs. Made from strong, heavy duty black rubber. Self adhesive backing helps the tread mat stick to your steps. 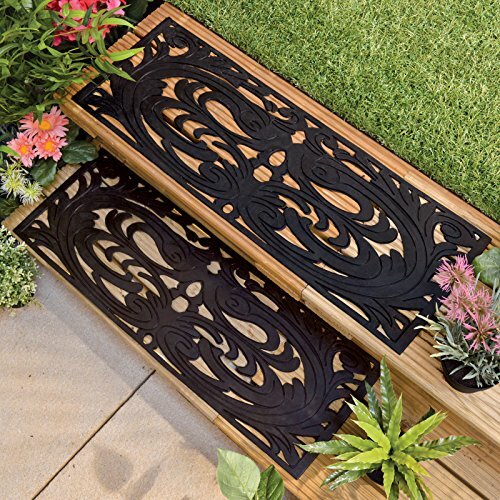 Suitable for use on wooden decking or paving slabs. Set of 2 step treads measure 73.7cm (29") by 25.4cm (10").